September 3, 2009 | Max The Mischievous Mutt. Embarrassing! when have I ever been embarrassing? I was on holiday recently and a shop sold these portable urinals. Where would anyone actually use these things? If you are in the middle of nowhere you could do it in a hole and bury it. You couldn’t use it in the city. Not unless you want to be arrested. And to top it all off they are industrial strength? What does this mean!? 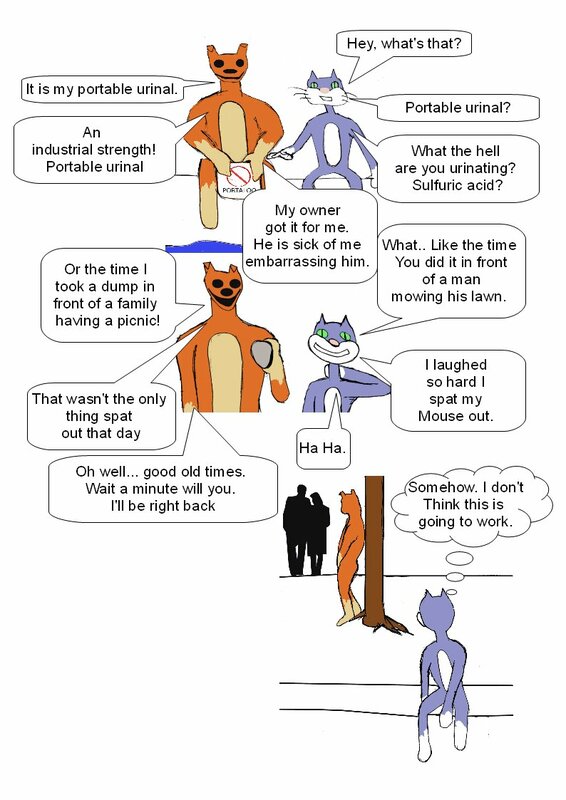 Are there ‘non’ industrial strength portable urinals available? Are the industrial strength urinals for curry eaters and the rest for people who eat salad and drink only mineral water? What happens to someone who uses an ordinary when they should be using an industrial strength? Does some sort of industrial accident occur! Do people comb the beaches looking for sick birds poisoned by the levels of stink released?